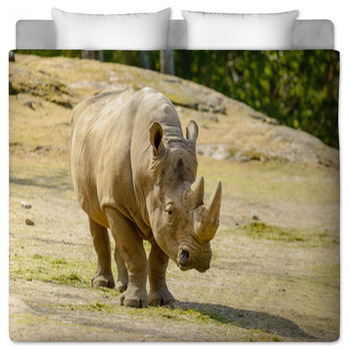 A rhinoceros bedding design from VisionBedding is a sure fit for anyone looking to add a little excitement by bringing the African plains to you with our custom photographic rhino bedding. 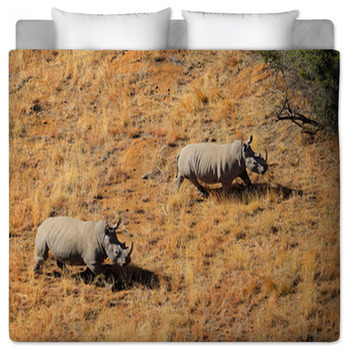 Choose from standing rhinos ready to charge or gow with a more cutesy colorful rhino design. 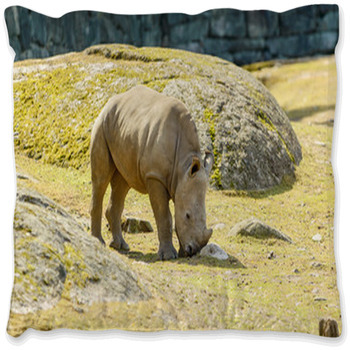 The rhinoceros is one of the best known and most admired animals on the African plains and always one of the busiest exhibits at any zoo. 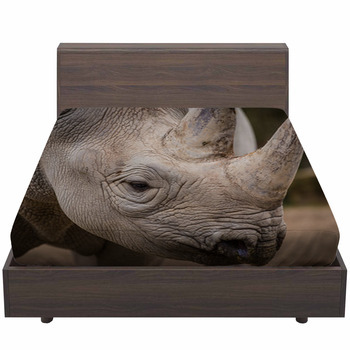 Well known for their thick hides and hunted almost to extinction for their highly prized horns these robust and hot tempered herbivores are some of the most protective parents and most sought after sites on any safari while adding a touch of danger and excitement for fear of their swift charges. 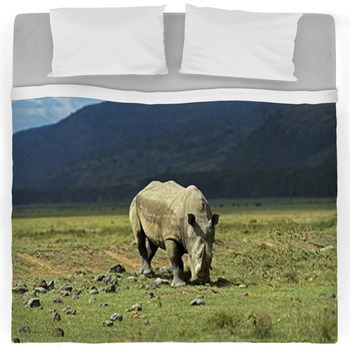 A large dominant rhinoceros browsing on the grasses of the African plain brings a strong combination of power and beauty to a custom duvet cover for anyone who admires the strength and grace these extremely rare animals show and will certainly add the finishing touch to any room with a safari theme. 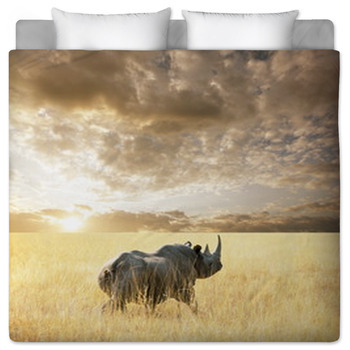 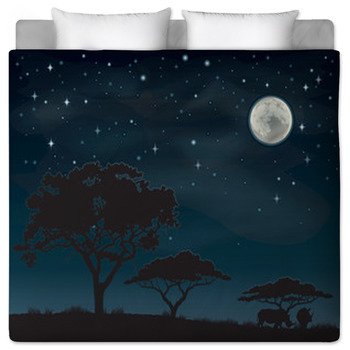 No rhinoceros comforter would be complete without the wonderful scene of a grazing rhinoceros among the great African elephant, wildebeests and even a pride of lions resting in the foreground among unique African trees. 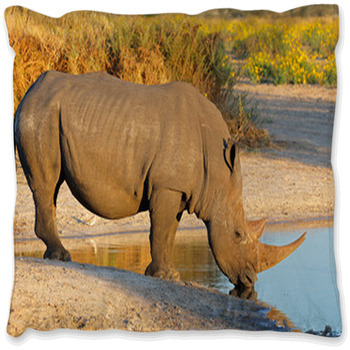 Many rhino fans choose a bedding design with a rhinoceros on it and then choose 2 different designs for the pillows. 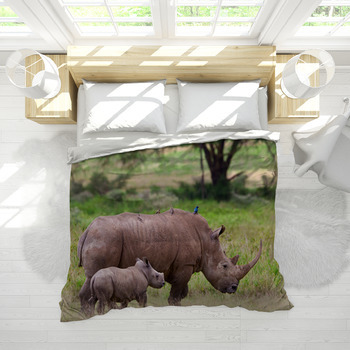 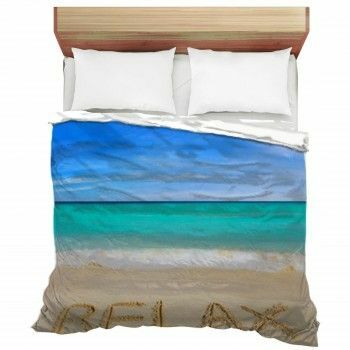 A silhouette of many of the worlds greatest and most well known animals including the grand rhinoceros adds a unique personal touch to any bedding and when set in the specific color needed to match a special room makes for a truly custom bedding design not found anywhere else. 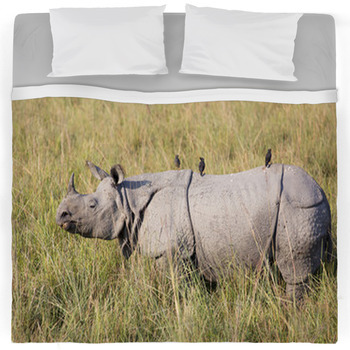 While another bedding design features a large feeding rhinoceros set amongst a field of healthy green grass adds color to any boys room. 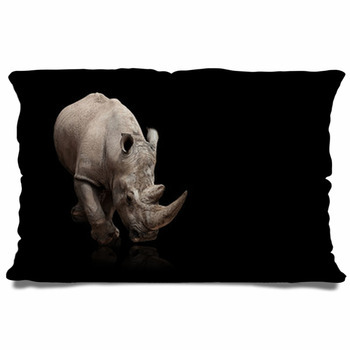 An additional touch can be added with a poster of a rhinoceros or a wall mural. 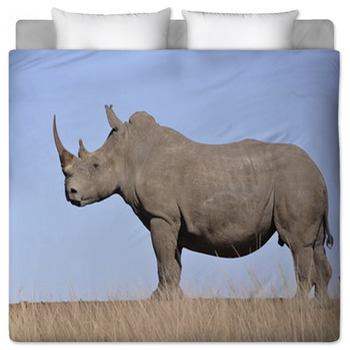 Want the grand look of strength and power as well as a hint of danger that only a large well built rhinoceros staring you down face to face can bring to a unique duvet set in any color desired to match a bedroom that any teenager would be glad to show off to their friends, VisionBedding makes it possible with unique photographic rhinoceros bedding designs that cant be found anywhere else!.